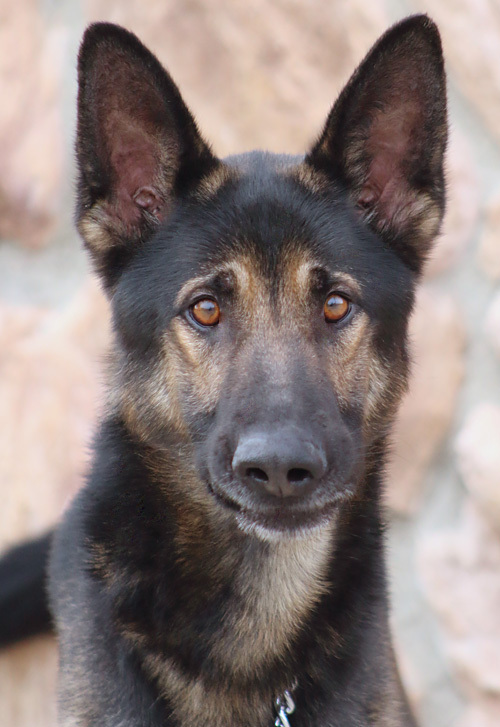 Max von Mansfield is a beautiful 1-2 year old German Shepherd. Long and lean Max takes life rather seriously and is intently searching for his forever home and family. He is hoping that home won’t include pushy or aggressive dogs who trouble his sensitive soul. Max is a big fan of people and enjoys quality cuddle time! He doesn’t mind if you don’t hang out at the dog park because, for now, he prefers one-on-one time that allows him access to his people and quiet socialization with other calm dogs. Please consider sensitive, serious Max if you are interested in a soulful dog dedicated to getting things with you just right. Make Max your man today!